Okay, now he won. 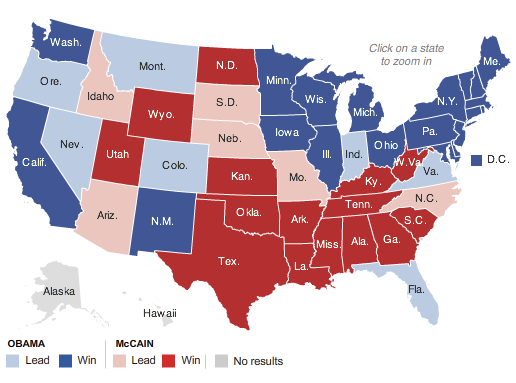 CNN is projecting 306 338 349 364 electoral votes for Obama. McCain just gave his concession speech. We’ll all be eating Obama O’s for breakfast tomorrow.